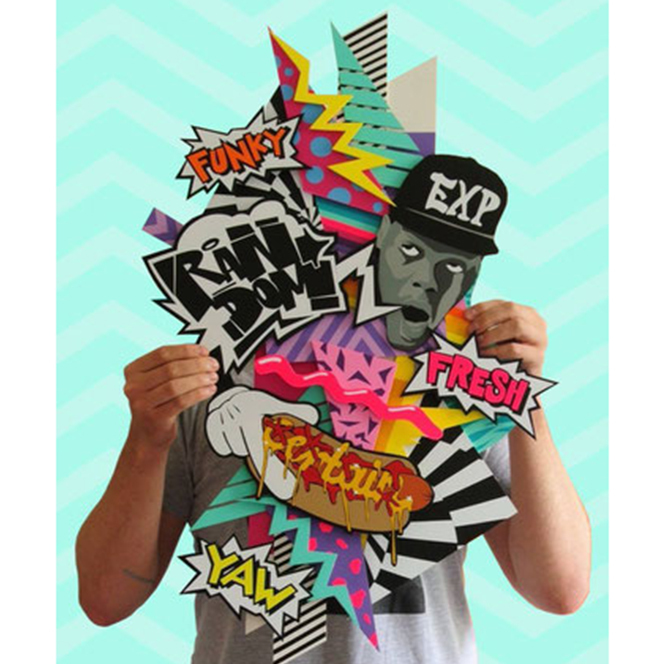 Individually combining design and crafts, RandomEXP creates shapes, letters and figures from lightweight foam board, vinyl foil and spray paint. His works range from purely graphic collages to huge hand-cutted lettering to pop art-like collages with figures and forms. And in every artwork or project you find the preference for bright, rich and skillfully combined colors and shapes.